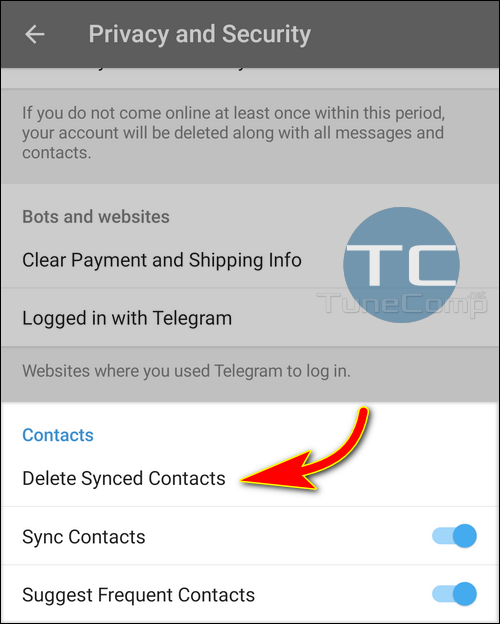 Why Deleted Contacts are Still Displayed in Telegram App? The short answer is: because of the glitch of Telegram’s sync procedure. For the very first time I faced the issue about a year ago but it still hasn’t been fixed even today. 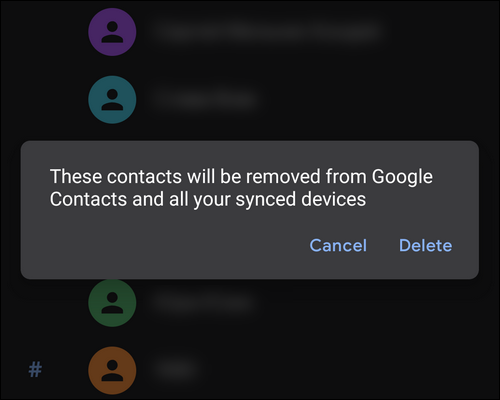 In my case I actually didn’t care about what contacts display in my Telegram app but I did notice that some people details that I deleted about a year ago appeared again in the Google Contacts app on all my Android phones and tablets. I was really surprised and had no idea how that happened. Of course, I deleted those people manually again and forgot about the accident. But a few month later I reinstalled the Telegram app and agreed to restore it from the server backup. And I immediately saw the old contacts deleted contacts in Google phone again. This time there was no doubt that the Telegram was causing the problem. You cannot delete a single person from the messenger. The Telegram app is designed to sync to Google Contacts. When you add someone to Telegram it should appear in your main contacts app. You should delete a person there and wait for Telegram to sync. Open your main Contacts app. In my case it is Google Contacts for Android. Scroll down and enter the Privacy and Security item. And confirm the deletion by tapping OK. Restart the app. It will re-sync everything and the problem should be solved. That’s all. Now you should see only actual people details in both Telegram and Contacts by Google. We hope, that this simple method will help you fix the problem that occurred as a result of a Telegram synchronization glitch. We also want to believe that the developers of the popular messenger will finally pay attention and fix all their sync related issues. If you have any additions on the topic, please feel free to share your thoughts in the comments. Thank you and good luck!